The average person uses 10% of their brain capacity. Imagine what he could do with 1%. 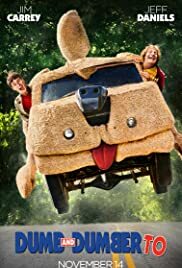 Q: Will this film have any connection to "Dumb & Dumberer: When Harry Met Lloyd"? Yes I know it's only one "o" and not two. Or two if you talk about the title (it could be a "w" missing also, depending on what way you want to go). But back to the movie. I haven't seen that unofficial movie that was made in between those two movies. But I was excited about this getting our two main characters back together (literally). Is it as good as the original though? You probably won't think so.